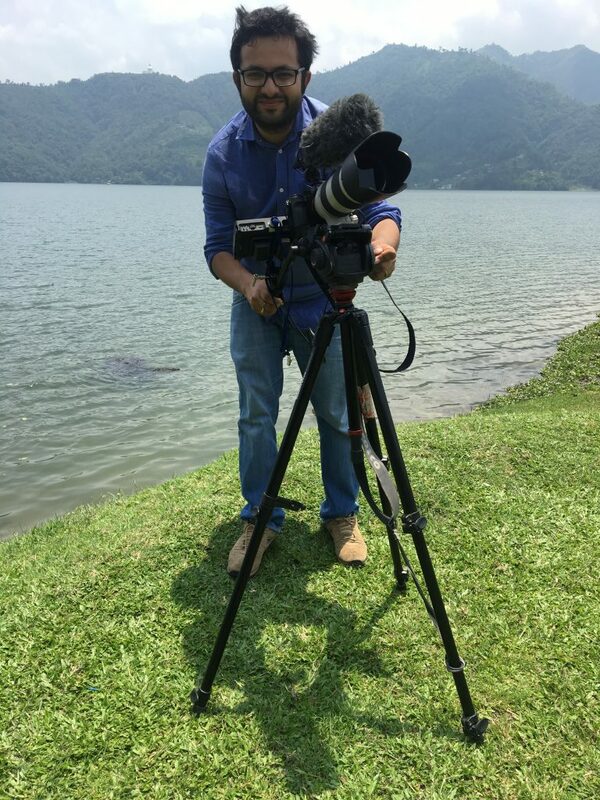 Rajneesh Bhandari is an independent multimedia journalist, investigative reporter, and filmmaker currently based in Kathmandu and South Asia. His multimedia work on different issues have appeared in The New York Times, National Geographic, Aljazeera, AJ+, BBC Reel, Contrast VR, NPR, Fusion, Huffington Post, Los Angeles Times and other outlets as well. He has worked as the Multimedia Editor of European Journalism Center supported news website and data/multimedia editor for the Journalists for Transparency’s investigative reporting website J4T.org. Rajneesh worked at Nepal’s top Kantipur Television Network (KTV) for seven years before moving to independent journalism. His best-known investigative story that was aired on KTV showed how some of the lawmakers were misusing their diplomatic passports. That story won him an award the KTV. He studied investigative reporting, data journalism and documentary filmmaking at the Walter Cronkite School of Journalism. 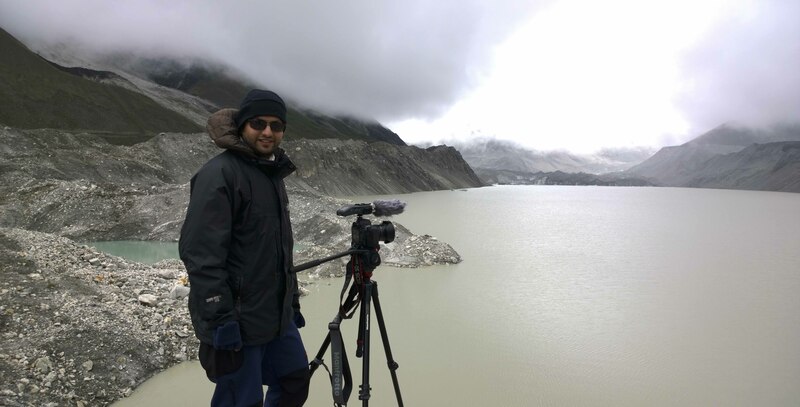 He graduated in Multimedia Journalism from Ateneo De Manila University and has earned a Master’s in Mass Communication and Journalism and Political Science from Tribhuvan University in Nepal. Reporting from Imja Glacier, Everest region, 2014. He has conducted multimedia reporting training for South Asian journalists with International Center for Journalists and other local journalists on topics ranging from video journalism to reporting with social media. He teaches multimedia application, online media, and television production at colleges in Nepal. He also coordinates Media Gufa, an experiential event where journalists report news stories using social media, isolated in a room for 72 hrs. He was awarded Online News Association’s MJ Bear Fellowship for his contribution towards digital journalism in Nepal. He is a Fulbright Humphrey alumnus. 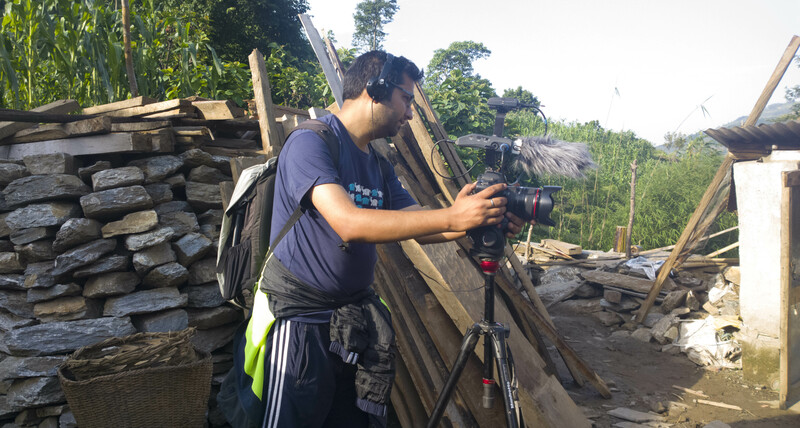 Reporting from Nepal earthquake’s epicenter Barpak, 2015. I and several of my family members were moved by your video of Laxmi Nepali and her children after the earthquake. We have been helping many organizations with fundraise, however, we would like to help in a personal level. We will continue to help some of the aid agents, but we would like to give some contributions to Laxmi Nepali in person. We would appreciate it if you could let us know where she lives, so that we could be of some help to her and her children, especially the newborn infant. I would really appreciate your reply back. Thank you. Please let me thank you for the excellent coverage on Nepal earthquake. Although it is a silly idea to communicate with you from here, I have some concerns regarding relief support to the EQ victims. Please reply to my email if that’s possible. Just did a quick search on video journalist and Asia and you were the first name to come up in Google – amazing SEO Raj! I work for an NGO which has been helping build communities after the 2015 earthquake. We have almost completely rebuild an entire village in Solukhumbu and would like to carry out it in other districts as well. We were wondering in which district should we use our funds and energy for rebuilding. I also went through the report published by seven reporters (one of which was you) on reconstruction delays in Nepal. We want to focus on those districts which are most in need but are lacking support from Government. Can I have any suggestions? My apologies for the late response. Not sure if my reply is any helpful now but I would suggest looking at rural areas which are far and remote. First, I would like to say I have read some of your articles on Nepal and I would like to say that they are extremely informative and interesting to learn through, as I live in the United States and am not as exposed to Nepal or other areas of South Asia. If I may ask to your knowledge, what is the current political condition in Nepal? I am doing research on Nepal in regards to politics and the current stance of the Maoists, so any personal knowledge or academic understanding would be well appreciated. Sorry for late response, please send me an email at contact[@]rajneesh.asia.